Savvy Spending: My Coke Rewards: FTD $20 digital code for 0 points! My Coke Rewards: FTD $20 digital code for 0 points! 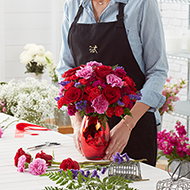 My Coke Rewards members can get a $20 FTD Flowers digital code for 0 points, while supplies last! This Reward Code is valid through March 7th, 2017 and is valid for one-time use.